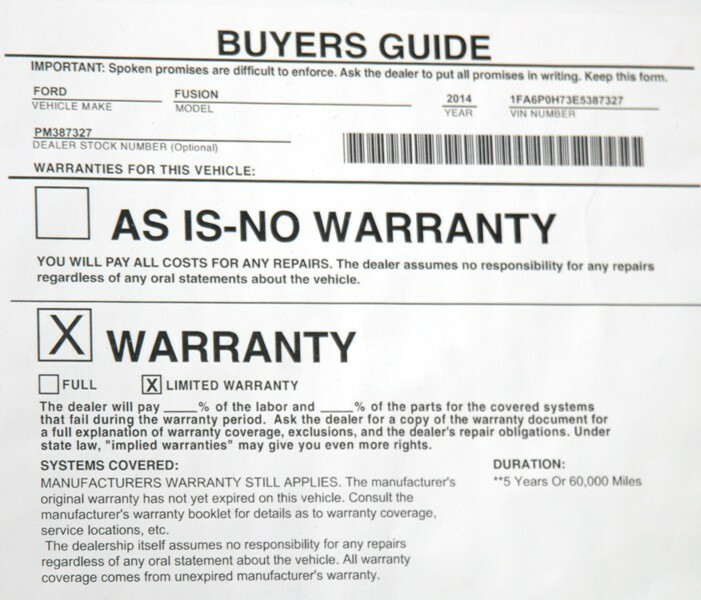 What is the Forced or Hidden Warranty? A Forced or Hidden Warranty is when a car dealer either tells you the warranty is required to finance the vehicle or hides the price of the warranty in the loan payments. This common scam has been around for years. Many shoppers fall for this scam and we here at CarBuyingTips.com have received many complaints from car shoppers over the years about it. There are two ways that they can pull this scam on you. In the first method, you're in the finance office at the car dealer signing the papers when the finance manager lowers the boom on you, telling you that you are required to buy a $2,500 extended warranty "because the bank requires it and won't get the loan." Let's analyze whats happening here. The lender is worried about your ability to pay back a $25,000 car loan, so to appease themselves, the lender now requires you to add another $2,500 to your car loan to qualify? The second method is where they sneak the warranty (and possibly other add-ons) into the deal. Some dealers who have you suckered in as a monthly payment buyer, focused solely on the payment amount, will quote you monthly payments but they don't even tell you that you're buying a warranty. Buyers who don't check the math have no idea their monthly payment is padded with a warranty, credit life, rustproofing, or other extras. We have also received complaints that the dealer tells you "the extended warranty is included" to make it sound like it's free. The warranty is included, but you're paying for it, with a "packed" monthly payment. In other words if all you really wanted to buy was just the car and no warranty, then your monthly payments should have been less. It's frustrating for us to hear how many people did not see it on the paperwork until they got home. People will spend more time analyzing a $6.00 watermelon at the grocery store than a contract for a $25,000 new car! This scam often accompanies the Spot Delivery Scam, which is another of our Top 10 Dealer Scams. Some finance managers will also start playing games with the APR on your car loan. If you try to decline the extended warranty, some finance managers will scare you by stating that your APR will go up if you don't buy it. That should be a violation of the Truth in Lending Act. This does not even pass the common sense test. Ask them since when does the interest rate have anything to do with whether or not you buy a warranty? Interest rates should depend on your credit score only. Car dealers often lie to you about this because they know many new car buyers are not educated when it comes to their own credit score and financing. The situation is made worse because you are tired and in a rush. The dealer has worn you down and you just want to speed sign and get home with your new car. As a sanity check, note that when you apply for a loan with an online lender, nowhere in the application process do they ask if you are buying a warranty and nowhere in the application process do they demand that you buy one either. First of all, knowledge is power, knowing your credit score ahead of time and having your own pre-approved financing can stop this scam in its tracks. Take the bull by the horns on this one and confront them directly. Let the finance manager know right off the bat you are aware this is a scam. Have the dealer commit it in writing that the warranty "is required to be approved for your loan." Tell them you want to show it to your State Attorney and the Better Business Bureau for confirmation. Watch how quick they back off. Learn how to avoid this rip off by reading our section on New Car Financing. A reputable lender, such as LightStream, would never require the purchase of an extended warranty (or anything else for that matter) as a condition for approval. Why would they want you to take on more debt? It doesn't make any sense! Make sure to read our complete article on Buying an Extended Warranty before you head out to the dealership. You want to make sure you don't get bamboozled twice on the same deal by purchasing an inferior warranty at double the cost. We will explain why we recommend buying coverage from a high quality company like CARCHEX. This scam works exceptionally well on buyers with bad credit. The dealers may "require " you to buy credit life insurance or "your APR will go up." One of our visitors here at CarBuyingTips.com sent us her Ford paperwork that had it all. Their payments were "packed" with an extended warranty, credit life and disability for $3,385! That's right, why not milk it for all it is worth. If you fall for one extra on your purchase, the dealer will see how much more they can stuff into your deal. Remember, the best way to avoid this scam is to have your financing lined up before stepping foot in the dealership. If you do finance at the dealership and the dealer refuses to remove the extras from your deal, then you should remove yourself from that dealership immediately.